Websites often offer readers links to articles about similar topics. Using Elasticsearch, the free search engine, is one way to find related documents instantly and automatically. When people rummage around on the StackOverflow website looking for advice on programming questions, they can find list of links to related topics in the Related section (Figure 1). This helps users if the first search result didn't show what they expected or the located resource is insufficient. According to Gormley and Tong , Elasticsearch  , the free search engine, generates these links on the website in real time from the growing and very impressive collection of 10 million StackOverflow contributions. 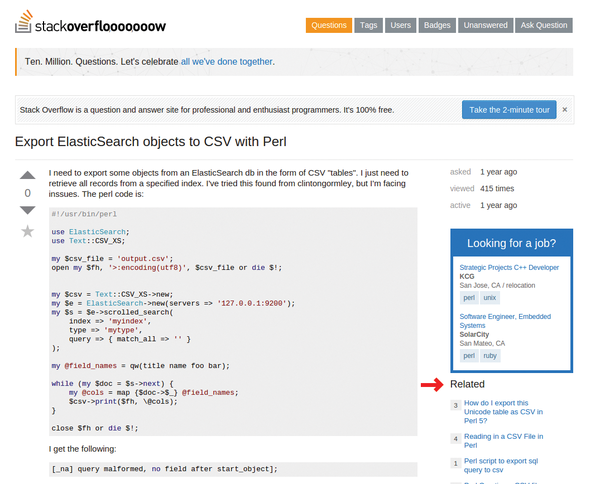 Figure 1: Using Elasticsearch, StackOverflow generates links to similar topics in the Related section. This isn't actual intelligence at work, because computers still find it difficult to understand the content of a document, meaning they can't find documents with related content. In fact, the algorithm used is based on simple nitpicking – it combines values for word frequency and derives a score from those values. Elasticsearch uses an inverted index for this task; this index is a complete list of individual words that appear in any of the documents that have been added to the search engine so far. It remembers which document each word has been found in and can therefore instantly output a list of documents for a search term. For example, if a user is looking for the term perl, Elasticsearch will immediately find the doc-1 document in the inverted index from Figure 2 and present this (one hopes) accurate search result. 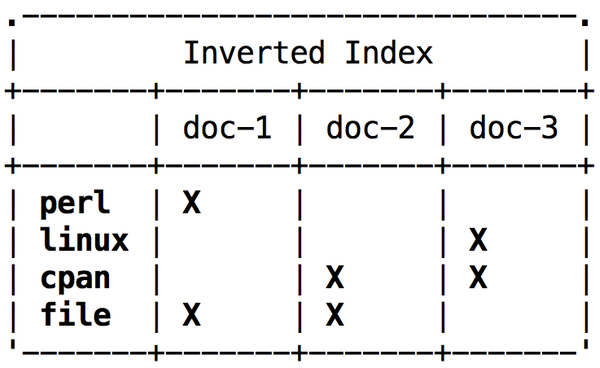 Figure 2: The inverted index maintains a list of documents in which the indexer found specific words. When searching for two words (e.g., linux and cpan), two documents come into consideration, but because doc-2 only contains one term, whereas doc-3 contains both, the algorithm gives doc-3 a higher relevance score. In a match list sorted by descending score, doc-3 is then at the very top and is more likely to match the user's expectations. Not all words are equally important. For example, the word file understandably comes up in quite a large number of documents on computer topics. If the user searches for file linux cpan, doc-2 and doc-3 provide two matches each, but because linux is more significant for one document than file, the algorithm rates linux cpan higher than cpan file and gives doc-3 preference. The Tf-idf score  determines how important a word is within a document. It gives a high value to those words that are prevalent in one document but do not occur too frequently in other documents competing for a high score (i.e., words that underpin the uniqueness of the document). A word's relevance value increases with the number of times the word appears in the document (this is known as term frequency, TF) and decreases if the word also appears in many other documents in the collection (IDF, inverse document frequency). To find documents in the database that are similar to document x, Elasticsearch first extracts all relevant words from x, then forms a search query using these words and returns the results. Elasticsearch performs this search for similar documents using the more_like_this query  command with very little programming required. However, all the relevant documents must be added to the index beforehand. I'll be using the official Perl client Search::Elasticsearch from CPAN for this. Listing 3 (described later) wades through a directory of text files. These are stories from my Usarundbrief.com blog that I extracted from the home-grown content management system via another Perl script. Each text file corresponds to a blog entry – 877 messages accumulated over almost 20 years, which is why the directory contains 877 files. Listing 1 shows the shell output . The Elasticsearch full-text search engine quickly finds expressions even in huge text collections. With a few tricks, you can even locate photos that have been shot in the vicinity of a reference image. A powerful search engine, a tool for processing and normalizing protocols, and another for visualizing the results – Elasticsearch, Logstash, and Kibana form the ELK stack, which helps admins manage logfiles on high-volume systems. When something goes wrong on a system, the logfile is the first place to look for troubleshooting clues. Logstash, a log server with built-in analysis tools, consolidates logs from many servers and even makes the data searchable. Even state-of-the-art computers need to use clever methods to process ever-increasing amounts of document data. The open source Lucene framework uses inverted indexing for fast searches of document collections. Even in the age of cloud computing, personal computers often hold thousands of files: text files, spreadsheets, word processing docs, configuration files, and HTML files, as well as email and other message formats. If it takes too long to find the file you need, chase it down with the Recoll local search engine.